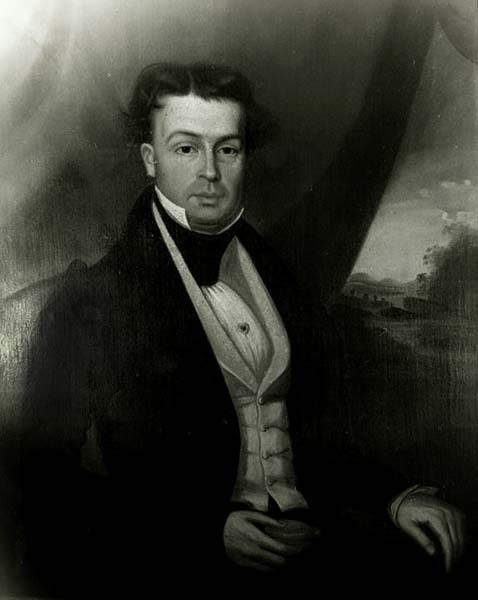 A portrait of planter and railroad executive Charles Teed Pollard (1805-1888) painted by Joseph T. Moore, ca. 1830. Pollard was an early pioneer of the rail industry in Alabama. The town of Pollard in Escambia was named in his honor.